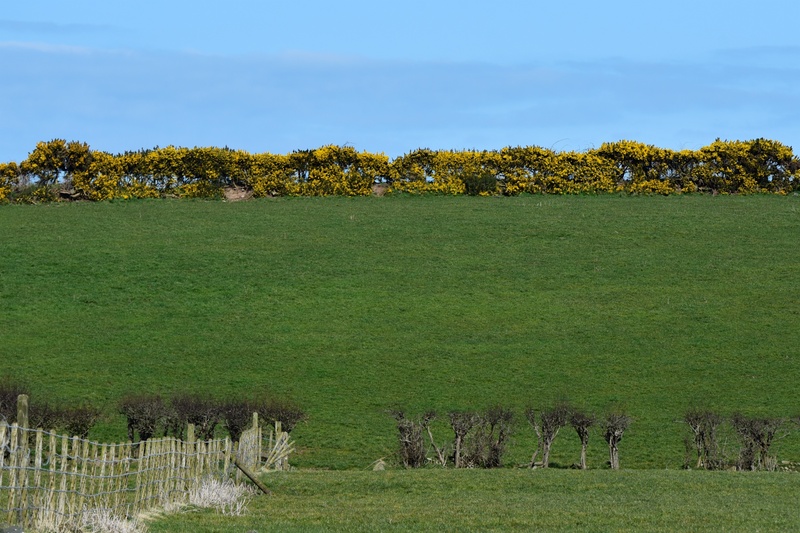 Today’s townland is Killaghy, which is in the middle of the Ards Peninsula, on the road from Newtownards to Millisle. According to the PLACENAMESNI website, the name probably comes from the Irish Cill Achaidh meaning “the church of the field”. There is no sign of the church now, but there are still plenty of fields. The spelling of the English name has varied over the years. 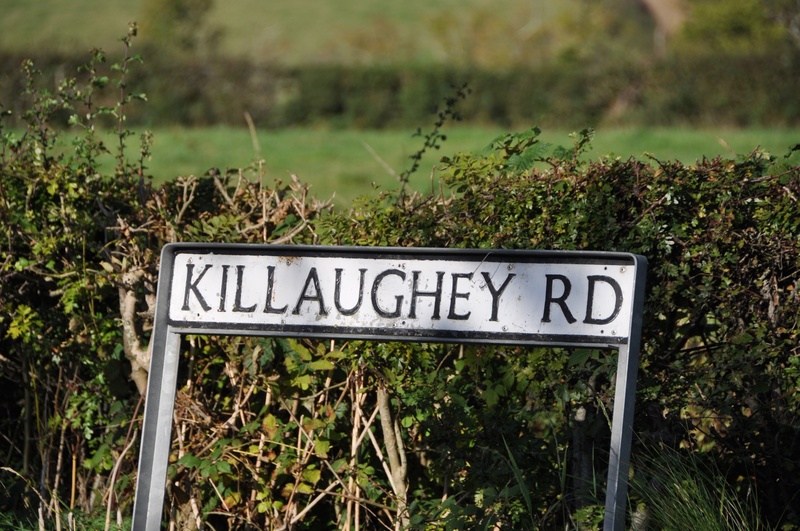 The official version is now Killaghy, but extra vowels still appear in the signs for Killaughey Road and Killaughey Road South. Thankfully the other roads in the townland are called Moss Road, School Road and Windmill Road – hard to get those wrong. 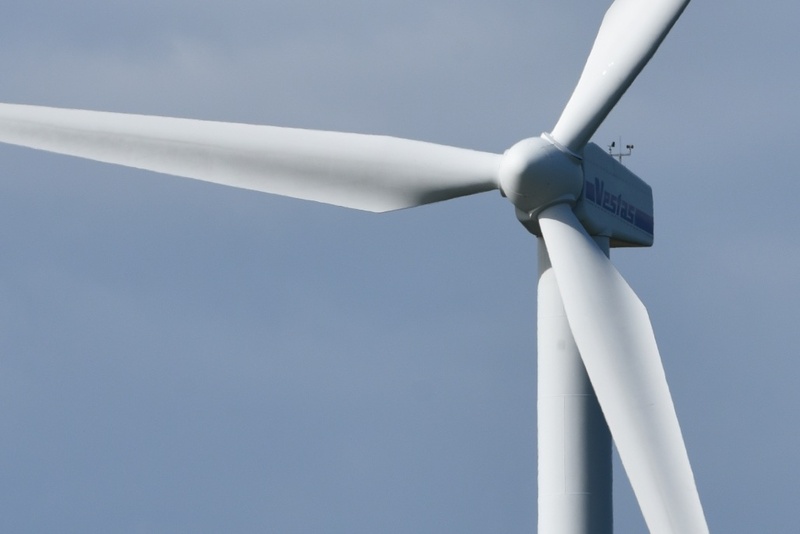 Windmill Road was named for the old windmill in Ballycopeland townland, but the 21st century version of a wind turbine has reached this area too. 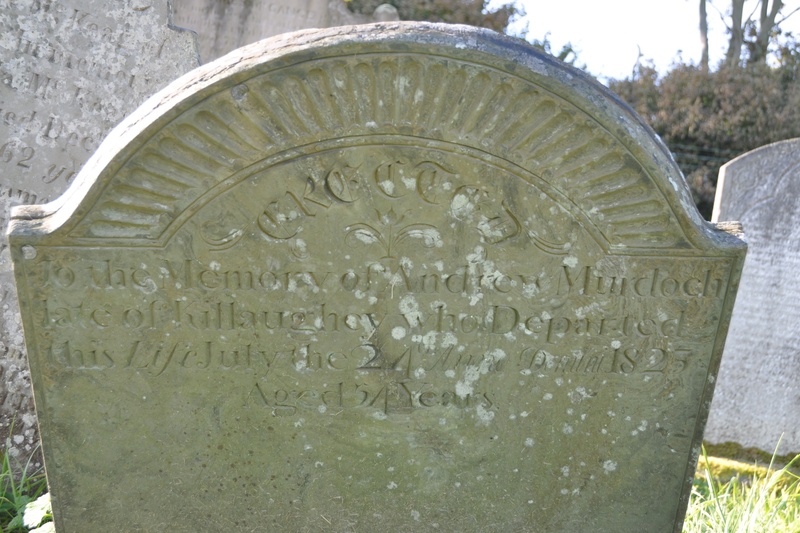 In Templepatrick graveyard, Miller Hill, I found a couple of 19th century graves for families from this townland. One is attached to the wall with brackets; the other is slowly falling forward towards the ground. 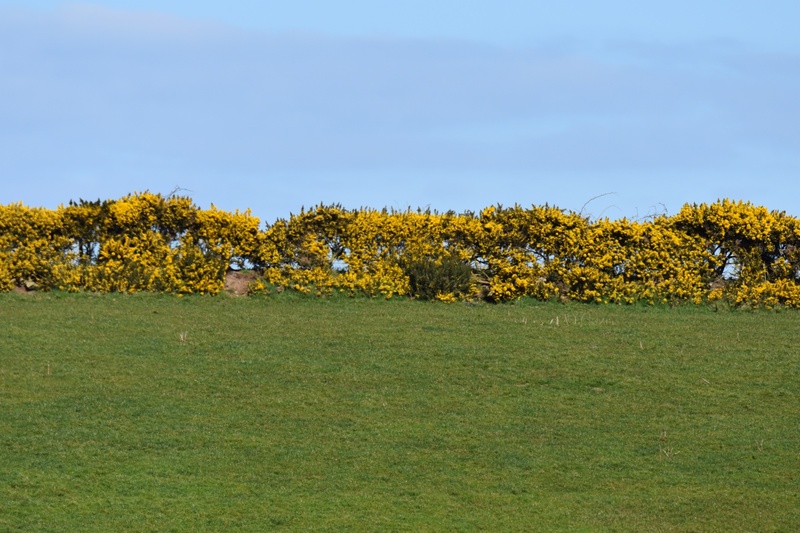 Which townlands border Killaghy? Clockwise from the north, Ballyhay, Ballyvester, Craigboy, Ballycopeland, Ballybuttle, Ballyblack and Drumawhy. 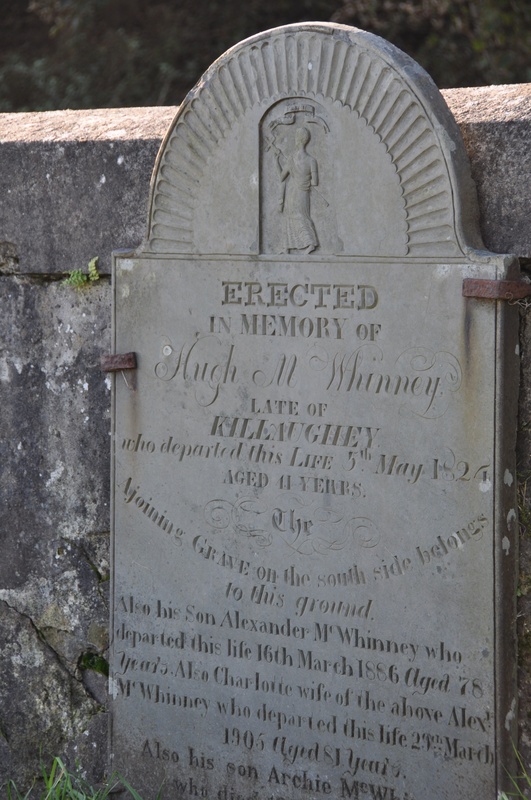 Click here for a map of Killaghy on Townlands.IE. Click here for a link to a 19th century map of Killaghy on the website of Ordnance Survey Ireland.